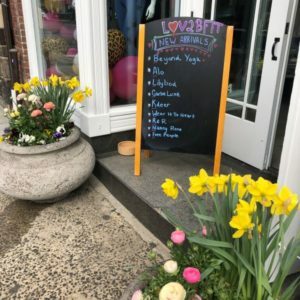 The popular fitness boutique, LV2BFIT (Love to Be Fit), known for fashionable activewear that you can sport beyond the gym, moved from the Rye Ridge Shopping Center this month in downtown Rye in the former Candy Rox location at 84 Purchase Street. 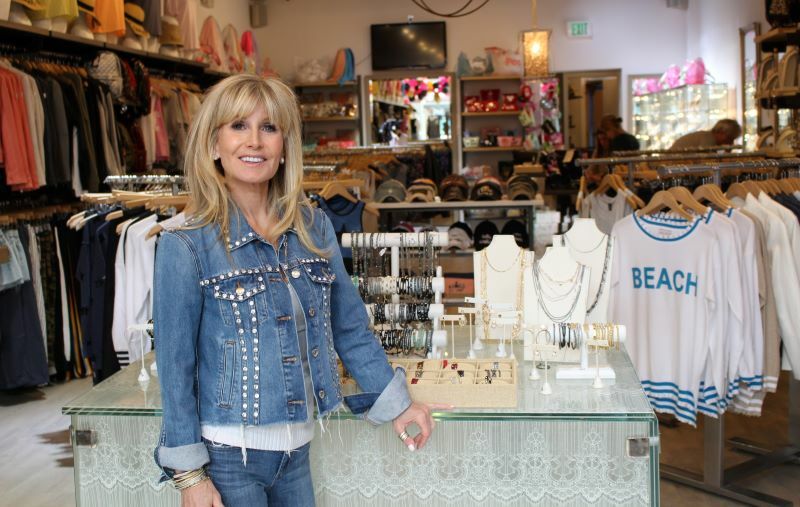 For owner Patty Palmieri, a fitness instructor who combined her passion for exercise and fashion into a unique retail shop, the move was a dream-come-true. “I have always loved Rye. It’s my favorite town.” When Palmieri was scouting for a downtown Rye location in 2011, no first-floor retail space was available, so she opened a shop in Rye Ridge and built a loyal following. Palmieri, who grew up in Scarsdale and lives in Bedford, has been in the fitness industry for 37 years and currently teaches high-impact interval classes at Equinox in Armonk. She discovered her niche for fashion when she attended fitness industry trade shows and picked up fun workout clothes. Her students immediately wanted to know where to buy them and at that time, fitness boutiques hadn’t come of age. As a fitness instructor, Palmieri found herself in her exercise clothes all day with little time to change before going out. She then developed the concept of a store with clothes that could be worn to the gym and beyond. Petite and trim, Palmieri has the complete woman in mind at LV2BFIT. There are sports bras and sticky socks for yoga, as well as jeans and trendy jean jackets, leather jackets in light colors for spring and summer evenings, scarves and a wide selection of attractive and affordable jewelry from hoops to beaded bracelets to necklaces and more. Palmieri, who has an innate flair for style and design, which shows in the store’s inviting space, is there with her staff to help customers coordinate outfits, something that doesn’t happen when shopping online. In addition, a large assortment of accessories, such as makeup and travel bags and totes adorned with fun messages for tennis players, golfers and beach lovers and beach hats and baseball caps with witty and clever sayings make irresistible gifts. Complimentary candy in glass jars, a tradition from the Rye Brook store, continues, now as a sweet nod to the space’s former tenant. “It’s a happy store,” said Palmieri.